There’s not too many similarities when it comes to football and basketball, but what is plain for all to see is how powerful and influential both sports can have on people’s lives. Maybe it’s the influx of money that makes football and basketball so attractive, or possibly the large number of personalities that fans have grown to love and admire. But one thing is for sure, a number of European based football players have demonstrated their love for the United States number one sport over the past few years. Here, we take a look at five footballers who are nothing short of crazy for the NBA. The former striker could do no wrong during his Arsenal heyday, but his choice of NBA team might rustle a few feathers. Thierry Henry is closely associated with the San Antonio Spurs, owing to his best friend Tony Parker playing for them. However, Parker now represents the Charlotte Hornets so rest assured Gunners fans, Henry’s allegiance lies with Watford now. The Real Madrid goalkeeper is one of football’s most popular lovers of all things NBA. 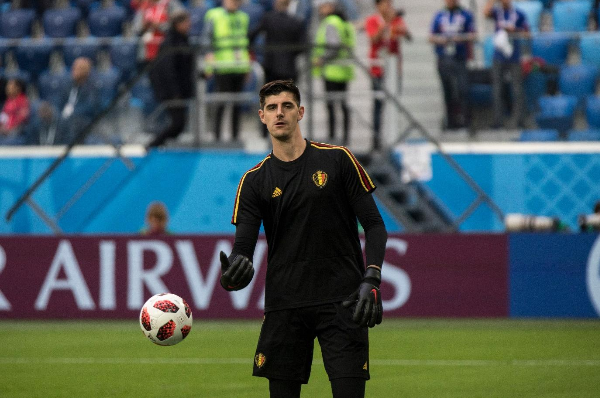 Thibaut Courtois’ mum and dad use to play professional volleyball and his sister does currently, which indicates the Belgian could have taken a different career path altogether. Nonetheless, Courtois has been an avid basketball fan since he was a kid and he even missed a Premier League clash with Manchester United after injuring himself during a basketball promotion shoot in London. Similar to Courtois, Antoine Griezmann loves everything NBA and has even confessed he’d rather watch an NBA match over football! The Atletico Madrid forward further demonstrated his love for the sport when he declared “I love Derrick Rose” just after France won the World Cup last summer, paying tribute to the Minnesota Timberwolves star during what was supposedly the pinnacle of Griezmann’s football career. Not only is he the most recognisable face in football, David Beckham is a global star who is a very keen admirer of the NBA. Since he made his switch to LA Galaxy in 2007, Beckham’s love for basketball has grown and he can often be seen cheering on the LA Lakers. Currently, Beckham is in the midst of starting up his own MLS side, Inter Miami, but you wouldn’t bet against him investing in an NBA team in the future. Manchester United and France star Paul Pogba is renowned for his love of basketball, almost as much as his love for a new hair cut! Pogba enjoys basketball that much, United told him to physically stop playing as a precaution for injuries. It’s understood that Pogba has a few choice friends within the NBA circuit, including James Harden and Joel Embiid and he even showed his support for the Houston Rockets during the NBA Playoffs. The Rockets are just outside the playoffs currently, and now you can check out all the latest NBA markets with Betfair right here.